Built to last through even the most extreme conditions, the SnoBoss 26-in. 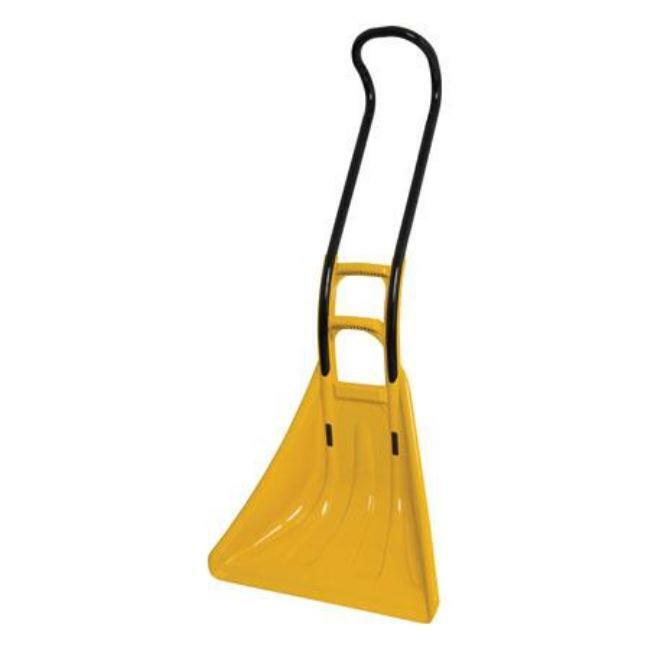 high-capacity blade with steel wear strip allows for the removal of more snow in less time and is constructed using only high quality resins. Together, the blade and handle provide optimal design integrity and do so with no unwanted screws, nuts, rivets, or edges. And it's even reversible. Just turn it over, and it's ideal for scraping tight areas, such as steps and porches. Nothing works harder, or more comfortably, to keep snow from getting in your way.